James Burr: New flash fiction - "A Fresh Perspective." I've always liked reading my work out loud as part of the revision process. Even if you're just reading it out to yourself, sometimes vocalising it can make you realise when you are being overly verbose, when you are repeating yourself or when the rhythm of your prose is just "wrong." However, nothing is as good for fine-tuning prose as actually reading it out loud in front of others, preferably in front of large-ish groups who are less likely to be as placatory as friends or family. 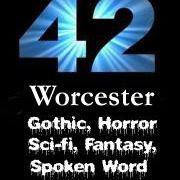 Further proof of this came tonight after another great evening at 42, Worcester's Horror/SF and Fantasy spoken word evening. I hadn't booked a mic slot but decided just to take something with me if a gap came up. Thankfully, there was a spare slot so I ended up reading a relatively new flash piece, A Fresh Perspective. Now, when revising this at home I thought I'd done a pretty good job of cutting it down to what I thought was a fairly zippy 1020 words. However, on being faced with the prospect of reading it out loud, I suddenly realised that bits I had originally been quite pleased with (which linked the creation of new artistic perspectives to the protagonist's own subjective experiences in the story) were actually a bit clunky and would undoubtedly result in the audience losing interest. Then I found myself cutting out other chunks of these sections, even as I read it. So all in all, I ended up losing almost 100 words, or 10% of the story, just through the act of being hyper-critical because I knew it had to maintain the interest of real people (rather than nebulous figures that you just think of as "some reader, somewhere"). So anyway, here is the freshly edited story as performed tonight. It seemed to go down pretty well, which is always encouraging, anyway. Prying his feet free, he then walked down the wall to the living room door, shaking the dust from his feet as he did so, before getting to his knees so he could peer over the edge of the doorframe, into the room below. The sheer drop was somewhat broken by the cupboards and units of his kitchen area below the wall he was currently kneeling on. But did this phenomenon extend to the entirety of his flat? He could see his sofa and telephone twenty feet below on the floor/wall opposite. I suspect that I have transcended the limits of ordinary reality and now perceive the world with the agility of a mind freed from entrenched perspectives, thought the Artist and he grew eager to explore further. The only logical explanation for this situation is that it is the manifestation of my will to transcend boundaries yet my flat’s continuing existence continues to prove that humans may attempt to defy gravity but never wholly escape, thought the Artist. The Artist grew excited at this exciting development in his creative life. This physical experience could provide a radical shift of perspective so I can look at the world through a completely different lens. This phenomenon provides an opportunity to reimagine the physical and psychological reality I previously thought of as fixed as something more flexible, mutable, and light. Excited, he considered the artistic possibilities his new perspective afforded. He considered the colours, the shapes the conceptual possibilities that he could now exploit. He looked around these familiar yet strange surroundings for his easel and paints before remembering with a shudder that they were in his bedroom.